We feature an intense calorie burning kickboxing & cross-training workout specifically for the sake of conditioning and physical improvement. We personalize our program for each individual so no matter what your skill level or physical ability you will not only benefit but have fun. 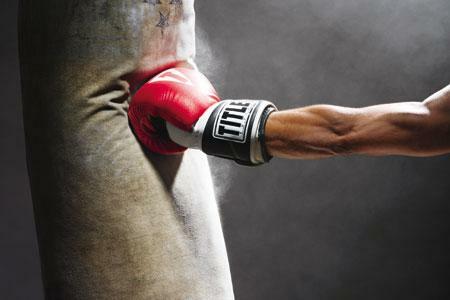 Kickboxing, otherwise known as cardio kickboxing or boxing aerobic, is a unique activity that incorporates elements from aerobics, martial arts, and boxing. You work on a bag while you're engaged in kickboxing, so it’s a great resistance workout too! This activity is fast paced, high- energy and fun! It’s very addicting!